What is the MMD Starry Winds effect? Where can I download the Starry Winds effect? How do I use the StarryWindsMMD effect? How can I make a night sky scene in MMD? How To Use Starry Winds Effect! Hey Toxic Here! And today we’re going to learn how to use the “Starry Winds” effect! 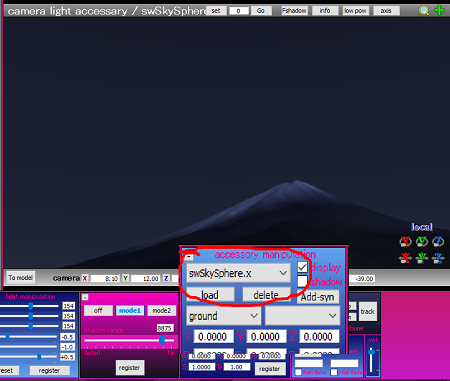 Now You Might be wondering “What does this effect do?” This effect allows you to make realistic night-time videos or pictures with moving stars and realistic lighting! It’s also a Planetarium Engine. Let’s head To the Celestial-Spells.com site! Once on that page, make sure to hit the big “Download” Button on the right. 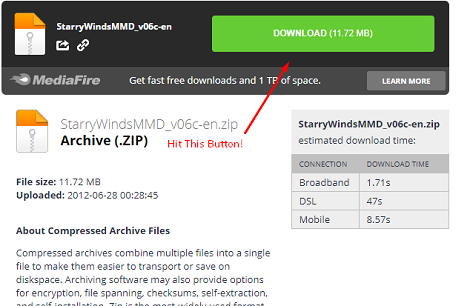 Before we hit that button we’re going to need a software that can open a .Zip file! The default Win-Zip on your computer cannot translate Japanese unicode file names. We at LearnMMD recommend using Bandizip, it keeps Japanese unicode without scrambling those file names. Don’t Have Bandizip? Download it Here! (I ensure you its 100% Safe! )… unzip it with your Win-zip, and then install Bandzip. 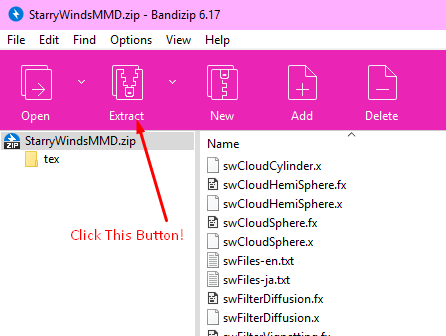 After you have installed Bandizip, let’s extract the file! Drag the effect Zip folder onto your Desktop. Double click the ZIP folder and hit the “Extract” button… follow the defaults and you will have the effect folder on your desktop. 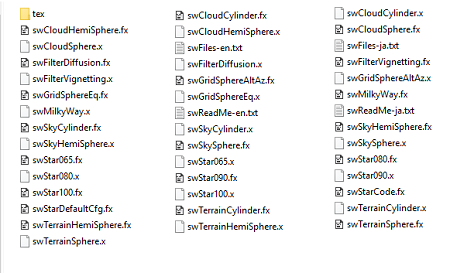 Now that we extracted it, you should have a folder with these files. Move the camera to get the mountain in view. OK! Now that we see darkness, we can add The MilkyWay and Some Stars! Just add the swMilkyWay.x to see the Milky Way in your sky. Roll the camera around to see the stars. You will want to click into Accessory mode so you can use the XYZ rollers to position the stars. 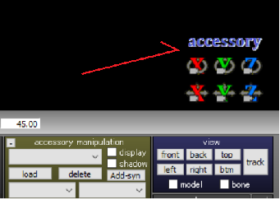 If you can’t find the stars, you might want to go to Accessory Edit under the Background menu and change the order of the accessories until you can see you stars. Go ahead and choose any of those .x effect files that has “Star” and you get: more stars! 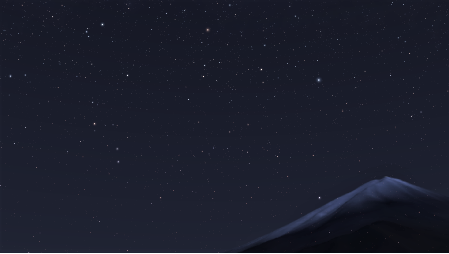 CLICK the image for the full-size Night Sky! Amazing, isn’t it? 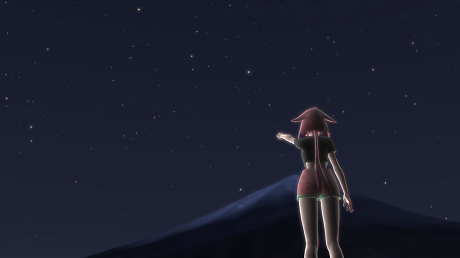 Now you can make wonderful Night-Time Scenes Right in MMD! Can you use this with raycast mme? If yes, how? … use this with raycast mme? If yes, how? … I have no answer for you. You will just have to try it out on your system. … Did it work? No?… get an error message or anything… No?… Sorry! … it’s all experimental. … You will just have to see what you can use… see what you CAN use with Raycast. Thank you! Sorry for late reply. I was really expecting an email notification that someone replied to my comment….